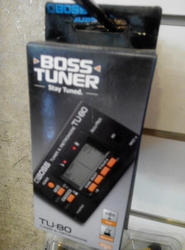 The BOSS TU-80 brings super-accurate LCD tuning to a very affordable price, while adding unique features like a built-in metronome and Accu-Pitch™. It even tunes 7-string guitars and 6-string basses—putting the TU-80 in a class all its own. 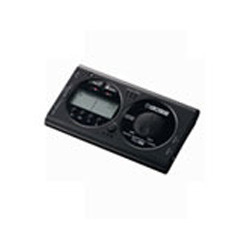 The Cherub Clip Metronome a good loud sound and a large lcd display and will clip on to a music book, golf bag, clip board, exercise equipment or any item up to one inch wide. - Tempo range 30 – 250 beats per minute. - Screen indicator for the beat flashes on the left then right. - Battery included – 2032 lithium battery.